Mr. Jack Ma is the lead founder of the Alibaba Group and since May 2013 has served as the company’s executive chairman. Mr. Ma is also the founder of the Jack Ma Foundation. From 1999 to May 2013, Mr. Ma served as the company’s executive chairman and chief executive officer. Mr. Ma graduated from the Hangzhou Teacher’s Institute. 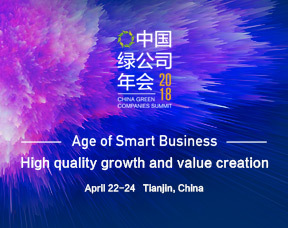 The mission of the Alibaba Group is “to make it easy to do business anywhere”, dedicated to promoting the growth and development of small and micro businesses. The Alibaba Group’s aim is to establish an ecosystem where customers can connect, work, find new opportunities, and thrive. The Alibaba Group’s goal is to last at least 102 years. “Work happily, live seriously” is the company’s motto. Mr. Jack Ma is also chairman of the China Entrepreneurs Club and chairman of the The Nature Conservancy’s China board of directors. In September 2016, Mr. Ma was named an assistant secretary of the United Nations in his role as special advisor to the United Nations Trade and Development Agency for young entrepreneurs and SMEs.